For the past 6 years, Marine Chevrolet has been the proud sponsor of the United Way’s Champion Challenge. The Champion Challenge is a fundraising event that takes place from October to March each year and rates funds to support the many United Way programs, such as CHEW, Volunteer Onslow, Stuff the Bus and programs by partner agencies. 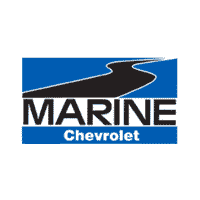 This year, Marine Chevrolet donated a 2018 Chevrolet Sonic to be raffled off by the United Way. Each entrant made a pledge to donate $2 a week for the 2018 calendar year. Of those generous enough to donate, 21 names were chosen as finalists and the winner was selected in a reverse raffle. This year’s winner was Jamie Groom from Onslow Memorial Hospital. 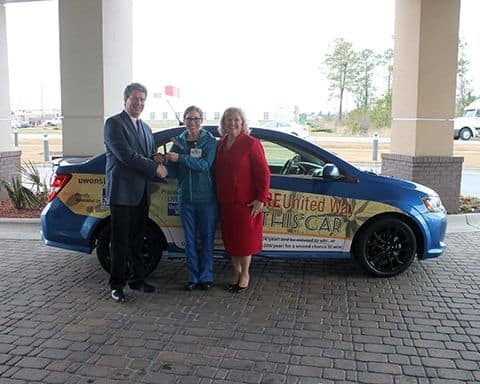 The United Way and Marine Chevrolet thank her for her continued support and hope she enjoys her new car for years to come. Keep an eye out of next year’s Champion Challenge, you may be driving home in a brand new car next!